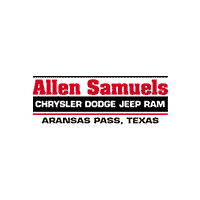 Corpus Christi shoppers searching for a new Jeep with a great price point and rugged performance will love a used Jeep Grand Cherokee. Take advantage of that that this Jeep SUV has to offer, with the added benefit of not having to pay that new car price. Both critics and consumers alike praise this SUV in their Jeep Grand Cherokee reviews each year, so you can feel better about buying a vehicle that people trust and believe in, regardless of the model year. In fact, Kelley Blue Book has given the Jeep Grand Cherokee an expert rating of 4.3/5 or higher for the 4 years in a row. When you’ve found the used Jeep Cherokee model that suits your needs, contact us or visit us in Aransas Pass to take it for a test drive.